This win looked pretty improbable for LSU at several points, but the Tigers pulled it off anyway. There aren’t too many games that feature that kind of a crazy end-game chart, but this one certainly produced some unexpected results. 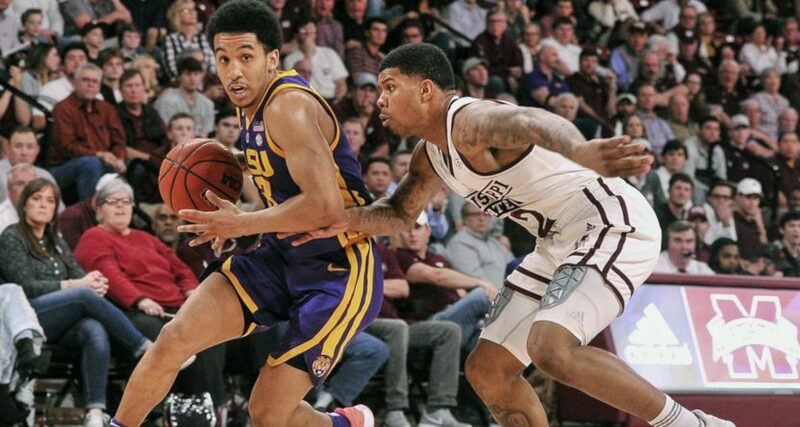 Mississippi State seemed in pretty good shape late in the second half, up 71-64 with 8:06 left and then up 74-68 with 6:47 left, but LSU found a way back, playing tough defense and hitting their own shots to send this to overtime at 83-83. And in the extra frame, LSU freshman forward Naz Reid took over, scoring seven of his 29 points on the night (including a three-pointer with 15 seconds left that really put the game out of reach). At any rate, that’s quite the win for LSU, and one that should leave them in pretty good shape going forward. The Tigers are now 18-4 overall and 8-1 in SEC play. A loss here certainly would have hurt their ranking and throttled back their ambitions, but they found a way to come out of Starkville with the victory. Even when it didn’t look probable.